Free Printable Birthday Invitations. 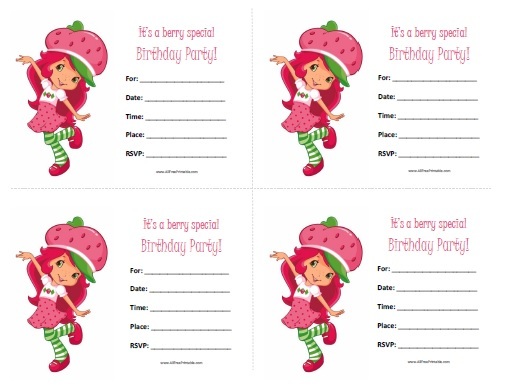 Free Printable Birthday Invitations that saves you money for the party. Invitations from Strawberry Shortcake, Disney Frozen, Elmo, Mickey Mouse, Lego and many more animated characters coming soon. Print the Birthday Invitations using your inkjet or laser printer with card paper and cut along dotted line, not a lot of graphics, so you can save on printer ink too. Then write for who is the birthday, date, time, place, rsvp, phone. Download the Birthday Invitations template with 4 invitations per page.